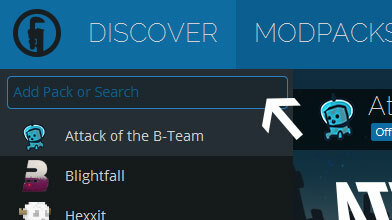 Type in the modpack name (The War of the Ring MC) or paste the following url into the search box. Finally, click Install at the bottom right of the launcher after you select The War of the Ring MC from the list on the left. The launcher will handle everything else! For a long time the team behind the scenes has worked to bring forward the greatest Lord of the Rings MineCraft Server in the world. Through dedication and an unrelenting push forward, we think we have done just that. Using the Lord of the Rings MC Mod as a basis, we have taken the world of Middle-Earth to the next level. Almost every notable location from the films and books have been brought into MineCraft. Many of the builds are from the larger MineCraft Community while a few were made by our team. Notable places such as Erebor, Minas Tirith, Helm's Deep, Barad-Dur, Rivendell and more. The world itself is one of the largest developed at 1,638,400m². While this is apart of every LOTRMC server, we have filled ours with other Towns, Forts, Strongholds, and more. Many of these filled with Rings of Power, Artifacts, and Legendary Weapons. Each player selects their Race and is then placed in a custom Spawn. Protected from the outside world, and populated with NPCs who can help you once you earn their trust. From there, your destiny is your own. From there, you will have to gain your Renown. Every day you logon you will gain Server Experience, or what we call Renown. The more you play, the more opportunities to gain Renown will become apparent. The more you have, the higher in Rank you will become and with that unlock new Titles, Gear, Roles, Home Counts, and more. There are over 300 Titles to earn, 200 Pieces of Gear to unlock, and 150 Roles to become! Renown is what you gain as an individual, but in the War to come you will have to gain Alignment with one of the many Races in Middle-Earth. These two aspects, along with the relationships you form with other players will truly determine who becomes a leader in the War of the Ring, and who dies on the battlefield. Will you become a dungeon dweller in search of great Artifacts? Will you form political relationships to advance your position? Will you amass an army and force others to submit to your rule?Whether you are taking on Quests, pledging fealty to another lord, creating a Seat of Power, forming your Kingdom, starting a Siege, or destroying the One Ring, the opportunities lie in front of you. Everything revolves around how you play, never how much you pay! Whether you want to go it alone, or become involved in the community, I can assure you: you will never lose because someone else has more money. Your destiny forms around how you play! Players who create relationships using our Pledge System will start to define their teams, and with that create Seats. Protected areas such as Minas Tirith, or Erebor, or a new build! Each Seat has a Mayor, a Deputy, any amount of Council Members, and Residents. Each Seat can create custom titles for each of these positions. In addition each member of the Seat will be able to create Troops! These are then moved by select members to other Seats for a Siege! That's right, if you build an army, you can take your allies and attack other player's seats and take them over. With enough Seats, a Kingdom can be formed and even greater control in the War of the Ring can be gained. But don't forget about the many Legendary Weapons, Artifacts, and Rings of Power... they may help you in the Wars to come! Discord! This is a place for us to post bugs, give suggestions, or ask for help! In addition to announcements from the team! Facebook! This is another avenue for more official announcements, and where to track events we will be having! Instagram! This is where we post pictures of our fabulous builds, old or new! An give shoutouts to builders using PlotMe! Twitter! 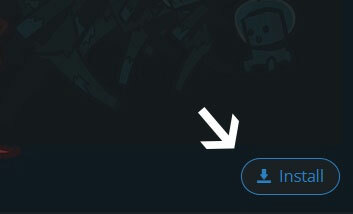 This is where quick posts or questions may be posted, maybe obsure references to upcoming features! Wiki! This is where we have the most information about the server! If you have ever wanted to take a deep dive into the server, this is where to do it! We do not believe in pay to win! In fact, the only way to buy something from the store is for the entire community! We have something called PrimaPacks! There are a few types but they will give a Title, a Gear Piece, and random items! Not just for you, but for anyone that logs in within 24 hours of purchase! We think this is a way to reward those who play, without giving an advantage to any single person!